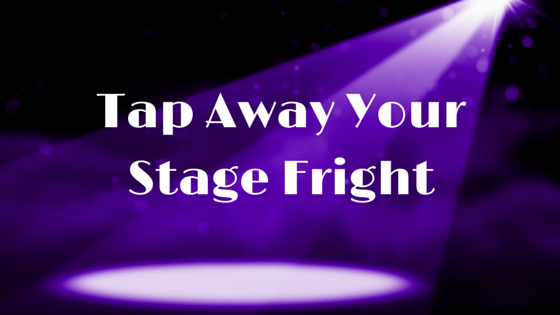 Tap Away Your Stage Fright! The other night, my husband, who recently started using EFT tapping, tapped before his first open mike performance. The tapping helped him release his anxiety, and allowed him relax. So when it came time to perform, he was able to sing 3 songs on his first try! 3 songs!! Needless to say, he felt amazing afterwards. So, what is it about performing in public that makes us cringe? Is it the fear of criticism? The fear of standing in the spotlight? The fear of making a mistake? The fear of drawing a complete blank? Yes, yes, yes, and yes? So often, it’s what happens BEFORE the performance that’s the most painful. All that anticipatory angst. The actual performance itself can be a relief – if we ever get there! Performance anxiety usually stems from a painful past experience. A painful experience that somehow led us to fear the stage. Fortunately, EFT Tapping is a technique you can use to clear away anxiety, and build a sense of calm confidence. One client describes how terrified she felt about an upcoming vocal performance. Although she had been taking voice lessons for years, and had a beautiful singing voice, she was terrified to sing in public. As a child my client loved to sing, but was made fun of when she did. The nature of this experience left her feeling embarrassed by her voice – leading her to hide it, so not to be criticized. Decades later, when she decided to take voice lessons, she discovered her beautiful voice. Despite her discovery, however, she still felt the old feelings stemming from her childhood experience. So we used EFT Tapping on her feelings of embarrassment. We tapped on her fear of criticism. We tapped on her fear of making a mistake. We tapped on her fear of being too nervous to sing. In addition, we tapped in positive feelings about her ability to sing. It didn’t take long before my client felt calm, relaxed, and excited when she imagined her upcoming performance. And, it went splendidly. So, next time you feel the jitters about performing in public, take some time to notice what you’re feeling. Try EFT to tap on the feelings and fears that come up. EFT is one of the most effective techniques for reducing cortisol, the major stress hormone, so it will help you relax. When you feel calm and relaxed, your performance will flow beautifully. Click Here for a Description of How To Use EFT Tapping. There’s life beneath your stuck and frozen places. 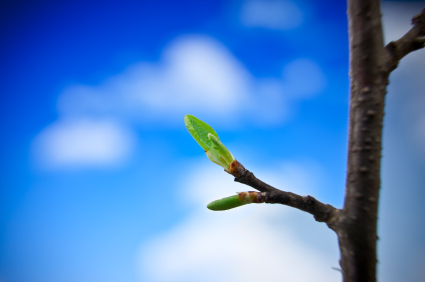 Here are some ideas to help you re-emerge into the flow of your life. Cinnamon, ginger, garlic, and turmeric all stimulate circulation. Use plenty. Increased circulation will help ensure healthy nutrient flow, making it easier to move forward. And, of course, physical exercise will boost your circulation as well. Probiotic foods such as miso, kefir, yogurt, kombucha, and probiotic supplements, will help nourish beneficial microflora in your gut. A healthy gut is crucial for synthesizing the neurotransmitters that keep you feeling happy, focused and motivated. Activate your brain cells. New experiences will help stimulate the creation of new neural pathways. New neural pathways will help you emerge from stuck places. Awaken your sense of adventure. Begin the process of planning a future, exciting, event or trip. Allow the process to inspire you. Reorganize your work or creative space. Shifting and sorting your space will help spark new ideas. Decide upon a small project or activity to complete. Next, allow 15 minutes to 1 hour to spend on your project. When your time is up, stop. Don’t worry if it’s not finished, not perfect, or if you barely got anything done. Just keep showing up until you accomplish your project. The act of showing up will activate your creativity. EFT (Emotional Freedom Techniques) helps to clear the old neural pathways that keep us stuck in limiting beliefs and patterns. Once old patterns are cleared, EFT Tapping can help you create new, healthier habits and beliefs. Contact me to learn more. Read what Jennifer Bronsnick, MSW, of The Mindful Family has to say about releasing old blocks during our recent Tame Your Inner Critic with EFT session. Our hearts are truly miraculous. My personal experiences with heart surgery have brought me deeper understanding, gratitude, and reverence for my own heart. Here are just a few of the amazing things about our wise, powerful hearts. The average adult heart beats 72 times a minute; 100,000 times a day; 3,600,000 times a year; and 2.5 billion times during a lifetime. Because the heart has its own electrical impulse, it can continue to beat even when separated from the body, as long as it has adequate oxygen. The heart’s electrical field is about 60 times greater in amplitude than that of the brain. 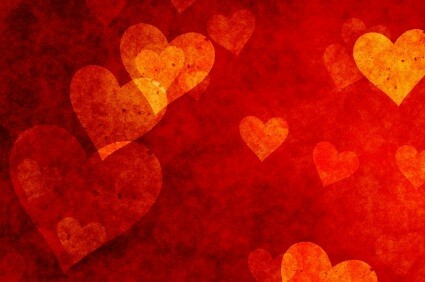 The magnetic field produced by the heart is more than 5000 times stronger than the field generated by the brain. Our cardiac field can reach far beyond the place where we are standing. Food— Eat a high-fiber diet, with plenty of vegetables, whole grains, legumes, and minimally-processed animal products. Limit sugar and processed foods, and don’t smoke. Probiotic foods will help prevent damaging inflammation. Drink Tea — Tulsi (Holy Basil) Tea helps reduce cortisol, which left unchecked can wreak havoc on your heart. Organic India makes a good product in a variety of flavors. Mountain Rose Herbs (www.mountainroseherbs.com) offers a delicious Tulsi in bulk. Another wonderful tea is Spring Dragon Longevity Tea, from Dragon Herbs (www.dragonherbs.com). This tea is made from the herb gynostemma, which benefits healthy cholesterol, blood pressure, blood sugar, and blood flow. Exercise — Regular cardiac exercise helps to oxygenate the blood, keeping the heart healthy. Aim for 30 minutes of cardiac exercise 3-5 times per week. Laughter — Add laughter to your everyday. Studies have shown that laughter helps to dilate your blood vessels, reducing stress on your heart. Gratitude — Cultivate feelings of gratitude for your life. Studies show that positive feelings such as love and gratitude positively effect heart-rate variability. Stress Relief — Stress can damage the heart by increasing heart rate, blood pressure, and cholesterol. Reduce stress daily with activities such as yoga, walking, music, prayer, and meditation. Try EFT (Emotional Freedom Techniques) — EFT is one of THE most powerful techniques for reducing cortisol, anxiety, and stress — FAST! Contact me to schedule a free 30 Minute Tame Your Inner Critic EFT Consult. Winter can be a time for blissful hibernation. Recent snow and ice here in NJ has forced people inside, off the roads, and home from work. Looking outside my window the other night, I marveled at the quiet streets, and glimmering village beyond. I thought how amazing it was to have so many people inside all at the same time. Though I’m certainly no fan of the dangers and damage that accompany the swirling snow and ice — I cherish the time inside. It’s a time to cozy up by the fire with a pile of good books. A time to create a pot of hearty soup, and keep it simmering on the stove. Or, a pan of roasted root vegetable, fragrant and delicious. Most of all, for me, it’s a time to go deeply within. 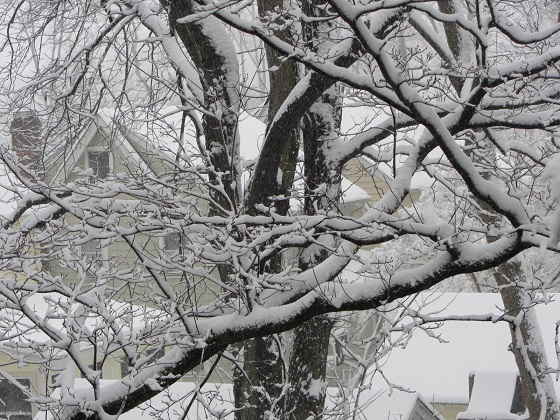 When I allow myself to embrace winter’s quiet stillness, I bring myself back to center. Times of hibernation can help us focus on our inner spaces. It’s a chance to see what’s really going on. An opportunity to transform what’s ready to change. Winter’s quiet stillness, when we allow it, brings us back to center. Fueling our inner power, we prepare ourselves for Spring. What do you like best about winter hibernation? 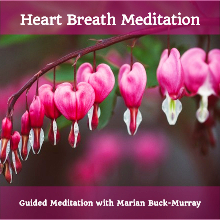 Marian Buck-Murray is a Certified EFT Practitioner, and Transformational Health Guide. She specializes in helping her clients release limiting blocks, and unlock inner brilliance. For a free 30 Minute Tame Your Inner Critic Session, contact Marian. For a free Tame Your Inner Critic Mp3 Download, visit www.marianbuckmurray.com. A friend of mine recently passed away from colon cancer. Her name was Dorothy. We had many conversations about Dorothy of Oz, and the power of her Ruby Slippers. It’s in her honor that I write these words. Ruby Slippers. Those iconic glittery shoes. I’ve had a longstanding connection with Dorothy and the Wizard, starting with my theatrical debut as Dorothy in my third grade play. So many of the story’s metaphors are woven throughout my own life’s stories. In some way or other, I’ve met all of the characters, and played many of them as well. But that, dear reader, is a story for another time. It’s those Ruby Slippers that are calling for my attention today. The Ruby Slippers that even the Wicked Witch couldn’t wrestle off Dorothy’s feet. Those magical Ruby Slippers ended up being Dorothy’s ticket back home to herself. The Ruby Slippers, of course, are a metaphor for the magnificent power within us all. Yet, even though we have this power, there are so many ways we neglect it and suppress it. Sometimes we don’t believe in it. Sometimes we don’t know it’s there at all. Just like Dorothy, we go looking for it outside of ourselves. And, so often, it’s our darkest moments that bring us back to our power. In the end, though, it’s up to us to tap into our own power. 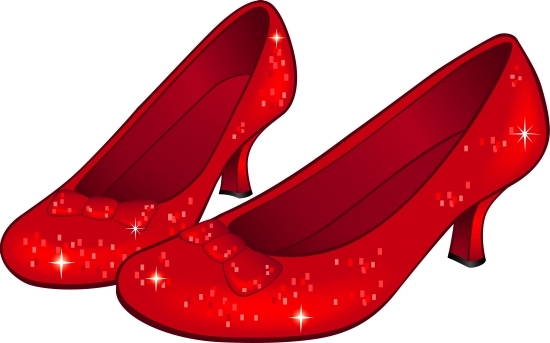 Become Aware of Your Inner Power — Dorothy was completely unaware of the power of her Ruby Slippers. Without awareness, we can’t even begin to use our power. So the first step, is the simple awareness of the power within you. Take notice of the power of your mind, your body, your intuition, your gifts and talents, your spirit. Increased awareness creates increased evidence. Evidence brings belief. Believe in Yourself — Dorothy’s adventure in OZ was a search for happiness outside of herself. She never found it. Towards the end, when things got really dark, Dorothy believed she would never find it. Good thing Good Witch Glinda stepped in to remind Dorothy of her inner power. It was only then, when Dorothy believed in the possibility, that she was able to access the magic of her Ruby Slippers. It’s when we believe in ourselves that we open up to our true heart’s desires. Sometimes that means just believing it’s possible. Activate your Power — Until we activate our powerful gifts and talents, they lie dormant within us. To activate her Ruby Slippers, Dorothy closed her eyes, looked within, and tapped her heels. She believed in the possibility, and she knew exactly what she wanted. And, at last, her shoes guided her back home to herself. Self-belief, focus, and clear intention. These are the tools we need to activate our heart’s desires. It’s our guided actions that will take us where we want to go. Remember, your inner power is always with you, especially in your darkest places. Tap in, and activate it. You don’t have to wait any longer. Go home to the power within yourself. There’s no place like it. My friend Dorothy was a true inspiration. Even at the end of her journey, she radiated the magnificence of beautiful inner power. I feel honored to have known her. Contact me to learn how to use EFT Tapping to tap into your own inner power. Share this with your friends by clicking the share buttons below.